iPhone OS 4.0 is on its way. What do we know about it? Our lives seem to have fallen into a rut in the last several years and part of the predictable routine includes living in unavoidable (yet gleeful) anticipation of the official announcement of the next generation iPhone at the beginning of each summer. Truth be told, this still remains one of the most eagerly expected events in the cell phone world. Of course, it has been an inexhaustible source of excitement for Apple fans and yet another reason for members of the opposite camp to embark on a new "anti" campaign. The only thing that remains constant, however, is that almost everyone gets involved, has an opinion and hardly ever goes on with nonchalant abandon. Apple is about to reveal parts of iPhone OS 4.0 tomorrow and the new operating system will probably provide insight on what we are to expect from the new generation handset. This is why we better take a closer look at the anticipated software novelties and get to the unofficial information about the hardware specifications of the future iPhone afterwards. If you, however, have a soft spot for conjectures and bold rumors, you will probably enjoy reading the final part of this article first and get back to the beginning later. First, of course, is the iPhone's Holy Grail, the fabled multitasking or in simply put, task manager. This is the function that many owners of the device have wanted since the first iPhone rolled out and the rumor has it that faithful Apple fans may finally luck out and get it. If the iPhone OS 4.0 comes out with such functionality, well, this would certainly make for an awesome improvement. Of course, the function requires certain interface overhaul, including changes in the particular way people handle the device, and accompanied by the acute necessity of brand new event alerts. We do hope the multitasking capabilities of the new OS would not have a negative impact on the smooth operation of the handset. With or without (of course, the first option seems much better) multitasking, we will probably see novelties in the interface design and its overall look. It's not that we expect some ground-breaking changes really, but a breath of fresh air would be more than welcome with this respect. As we have already mentioned, we believe Apple has planned to announced iPhone OS 4.0 shortly after the market release of the iPad and for a reason. The mobile devices of the company should be able to communicate with one another in a seamless manner and this is one of the major challenges the new software faces (and should be able to tackle). The word has it the iPhone is about to become a fully functional web camera for the iPad (Camera A and Camera B), although the latter have not been made by Apple. Information has surfaced the new version of the operating system will allow for improved gesture control. Whether this is the case indeed and the functionality would be similar to what the Palm Pre delivers (with its touch-band dedicated to gesture controls) remains to be seen. Tradition enjoins the new generation iPhone should be announced at the beginning of the summer, but now, with the spring well on its way, we still don't know much about what the handset would look like. Still, pictures and a video have already appeared on the Internet and allegedly, they reveal more about the handset display. Supposedly, the screen will be larger and measure 3.7 inches, instead of 3.5. Sounds great, because this probably means the new iPhone would remain comfortable to operate with one hand. According to another rumor, the native resolution would increase to 960х640 pixels, which would make for a nice improvement as well. One of the things hidden under the hood would probably be none other, but Apple's A4 processor running at 1GHz. It has already proved itself as the mighty component responsible for the smooth operation of the iPad. A processor like this would be more than welcome, given the new iPhone would probably come with multitasking and HD video playback support, with these being some of the new features we would love to see. The new generation is supposed to come with 5-megapixel camera. A reference to a resolution of 1,280x720 has been spotted in iPhone 3.2 SDK files, but we still don't know if this means video capture or playback. We certainly hope it's the former option, since most high-end devices scheduled for a summer release will offer such functionality. 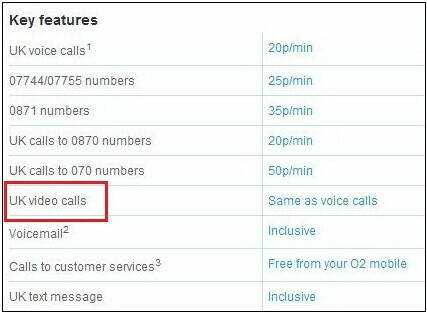 The next iPhone should also be equipped with video call camera, unless O2 UK has got it terribly wrong and made a huge mistake in its internal documentation. Last, but not least, a CDMA version of the iPhone might finally see the light of day and bring joy to many customers of Verizon. Streaming and cloud-based services (i.e. access to information uploaded on remote servers, no matter where you are or what handset you have). 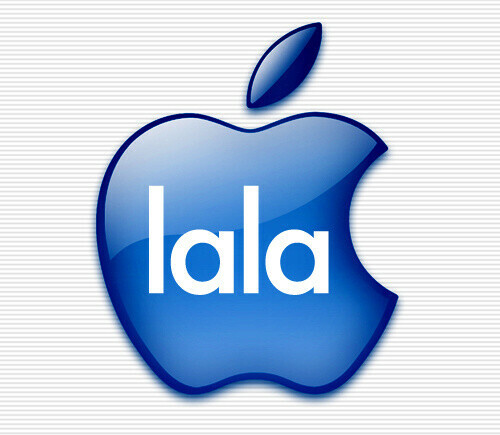 Apple acquired Lala at the end of 2009, a company that owned a website where you were allowed to upload music and listen to it later, no matter your particular location. According to the creator of MP3.com, you will soon be able to share your iTunes library and the iPhone seems like the best content streaming device for the task, because it allows for uninterrupted internet connectivity (unlike the iPod touch), plus many users today need constant connection to the Web to have their picture albums on Picasa, Flickr, Facebook, etc. automatically synchronized. Transferring files over Bluetooth? Why not? Similarly to the long-awaited multitasking, this is one of the functions iPhone owners have been asking for since the market release of the first iPhone. Speaking of hardware, we believe it would be really nice if the new device is equipped with LED flash, because the camera of the iPhone can be quite capable... if you stick to taking pictures in proper lighting conditions. Actually, it's not just a flash we have dreamed about, we would also want it to be a double Xenon one. And lasers... if at all possible. Fingers crossed, right? We all know that even if none of the above-mentioned rumors proves to be accurate, the next iPhone will still be an awesome, incredible, magnificent, super, mega, awesome, revolutionary, splendid, amazing... (we are about to lose it, aren't we?)... awesome handset. All right, this was a joke... Anyway, sound off your opinion and share your expectations with us. 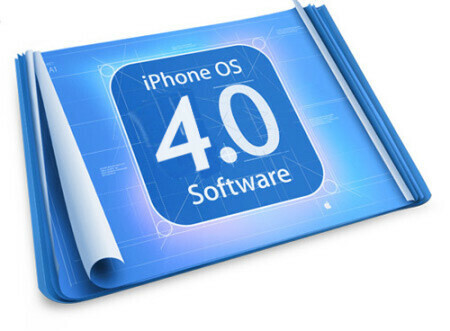 Tell us what you think about the next iPhone and iPhone OS 4.0 in the comments below. idk about you guys, but im ready to see a four - peat. if this is what we all expected, this just might be the first time of my life owning a apple things. i am desperately needed a hi end phone. Nexus 1 was great, but got tire of looking at the dull design after few weeks of uses. HtcHDEvo4g- sprint, winmobile?? naah...just not my thing... X10...talk about disappointment... etc.... So, i am actualy excited to see whatsup with this new iphone. But, i am prepared for some letdown. i mean its Apple after all. eh? Well, if it actually brings multitasking, new notification system and decent screen resolution, I might consider it over HTC Desire. But I'm certain that apple will fail to bring most (if not all) of these to the iPhone. Hmm, I gotta be honest. I'm not the biggest fan of the iPhone, but I am kinda interested if they do show a CDMA version. Hell, I'm just interested in the OS as a whole. I want to see something new and exciting. I swear - If the new 4.0 sacrifices performance, simplicity, accesibility, or confort in favor of this allegedly new multitasking (which I simply don't understand why would this be needed that much), this would be a horrible mistake. I don't want a new interface, a new look or anything like that. I am yet to enjoy the wonders of the current generation. Along multitasking I wanth the ability to reply to texts in app. When I had my old iPhone jailbroken there was an app that I had that changed the text alerts to include a keyboard and I could reply on the spot. Even in the lockscreen if I set it to. I think it was realsms or something like that. Functionality like that would be amazing. That's the I ly thing I miss from my jailbreak days. not everyone needs or wants flash.